http://hairrestore.com/ Dr. Sharon Keene was featured as surgeon of the month in the July 2001 issue of The Hair Transplant Forum. 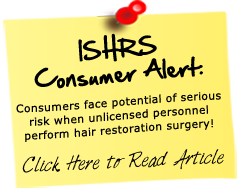 Locally in Tucson, AZ, she is recognized as an expert in the hair transplant industry. She has also been consulted, and featured, in Tucson television news programs and articles about hair restoration surgery. Many of the local newscasters have been her patients.